Great neighborhood with a 33,977 Sq. Ft. Lot. This house is a great home to remodel or tear down. Owner has a complete set of plans to be approved by the city. Great neighborhood and a quiet street to live in. This gem will not last. Find Floor plans attached. Bonus to Buyers agent $10,000. Gorgeous 5/5, family home in exclusive, gated Doral Breeze. Enormous kitchen w/giant island, Stainless Appliances, & beautiful wood cabinetry. Huge Living, Dining & Family room w/ bar. Full bath accessible to backyard, pool & hot tub. Upstairs has 4 ampl e beds plus a large master w/fantastic bath - jetted tub & dual shower. All w/walk-ins. W/D on the 2nd floor. Impact windows & doors. 2 car garage. Community offers a clubhouse, fitness center, tennis, front lawn maintenance & pest control. Call today. AMAZING 3/3 VILLA BAY BREEZE 1,954SF HISTORIC BAYSIDE DREAM HOME. Gorgeous, renovated, impact windows, huge modern quartz/SS kitchen, updated marble baths, refinished wood flrs, new appliances/AC, vaulted ceilings, fireplace, split flr plan, bonus/media room. Amazing lush gardens, patios galore for entertaining! Room for pool/guest house. Walk to bay, Baywood/Legion/Morningside Parks, Farmers Mkt, Belle Meade, MiMo restaurants/shops. Limited access, quiet tree-lined street. No HOA/no flood. Owner-agent. Historic Buena Vista East live in one house rent out the other - yes 2 houses on one lot- Serious income potential main house 2 beds and 1.5 bath Hrd. firs, fpl. easily conv. to a 3/2 - spacious, bright . back house downstairs used as storage - upstairs is a 2/1 apt. can be rented for $1500 plus per mo. or combine the 2 spaces for another 3/2- or use space for your cabana area- must see property to see its full potential - walk to restaurant row, Design District,midtown and Wynwood. REMODELED TO PERFECTION IN GATED KEYSTONE ISLAND*THIS HOME OFFERS A MOVE-IN-READY PARADISE: FABULOUS OPEN PLAN WITH NATURAL LIGHT THROUGHOUT; NEW ROOF; HURRICANE IMPACT DOORS & WINDOWS; MARBLE FLOORS THROUGHOUT; UPDATED NEW KITCHEN WITH COOKING ISLAND & EAT-IN COUNTER; NEW BATHROOMS; FENCED BACK YARD WITH POOL & PAVER DECKING; LARGE BEDROOMS; NEW HIGH EFFICIENCY 5 TON AC SYSTEM; STATE-OF-THE-ART SECURITY SYSTEM; ALL THE UPGRADES DONE WITH PLANS AND PERMITS*IDEAL FOR ENTERTAINING, RELAXING & ENJOYING!!! 5 AC POOL HOME, INCOME LONGAN/LYCHEE GROVE WITH ASST FRUIT FOR PERSONAL USE. (ADJACENT FOLIO W/5 ACRES, BUILD ABLE CERTIFICATE 4 SALE) 3 STORY KEY WEST STYLE ESTATE WITH POOL/SPA BALCONIES. CABANA W/BATH, GREAT ROOM WITH FIREPLACE,CHEFS KITCHEN. THE MASTER SUITE ENCOMPASSES THE 3RD LEVEL. THE BALCONIES HAVE AMAZING VIEWS ON A INCOME COCONUT TREE LINED DEAD END STREET. OWN THE ENTIRE BLOCK BY MAKING IT A 10 AC PURCHASE. DIESEL + MICRO JET AVAIL, CONCRETE RISERS, TRENCHED AND CROSS TRENCHED. THIS IS LEGIT! ONE-STORY HOME OFFERING BEAUTIFUL WIDE OPEN GOLF COURSE VIEWS, DIRECTLY ON THE GOLF-COURSE ON DIPLOMAT PKWY. GREAT OPPORTUNITY TO OWN A 15,332 SQ.FT. PROPERTY, IDEAL FOR A TOTAL RENOVATION. FEATURES INCLUDE: 4BR/3.5BA+OFFICE, LARGE BACKYARD, POOL, COVERED TERRACE. 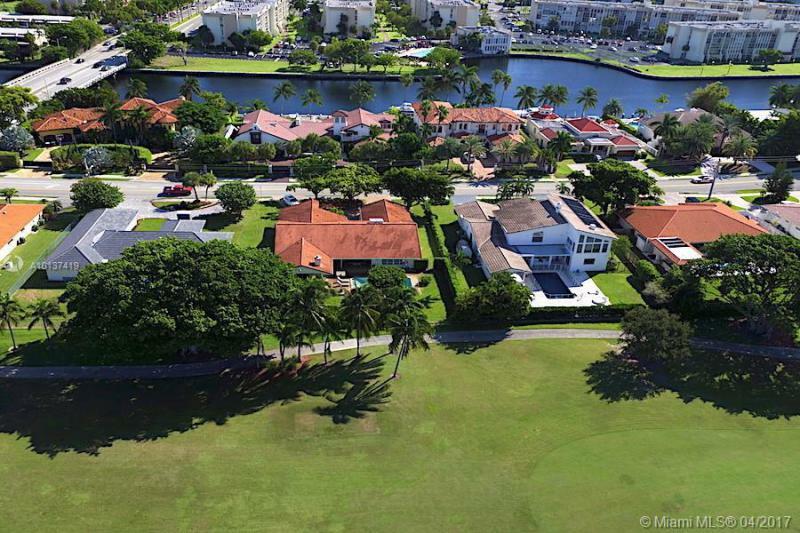 WALKING DISTANCE TO THE DIPLOMAT GOLF AND TENNIS CLUB AND THEIR UPCOMING IMPROVEMENTS. INCREDIBLE LOCATION, LARGE CIRCULAR DRIVEWAY, LAUNDRY ROOM AND 2 CAR GARAGE. Everything about this charming old Spanish home is special. Large double lot (room for a pool), wide driveway, charming and fully permitted cottage with storage shed. Modern and new eat-in kitchen, inside laundry and a full size family room. Split plan, one solarium with a garden view, fireplace, refinished wood floors. The main house has 3 bedrooms, 3 baths (2 ensuites) and also has a beautiful cottage with 1 bedroom, 1 bath. It can be a perfect guest house or office space. Show with pride.